The ACS Studio Prize returned in 2018 to offer one student or recent graduate a £6,000 prize to help secure studio space in a UK city of their choice. Five finalists were chosen from a national open competition which attracted 330 submissions - a huge increase in applications from the inaugural Prize in 2017. Judges Lady Bridgeman CBE, founder of the Artists’ Collecting Society (ACS), and renowned artists Eileen Cooper OBE RA and Rob & Nick Carter deliberated over an initial longlist of 32 artists from throughout the UK and Europe. The judges awarded the £6,000 Prize to Rebecca Harper, a graduate of UWE Bristol, the Royal Drawing School and Turps Art School. Her work is largely observed from life, yet often reconstructs memories and dreams to rearrange fictional fragments as plausible happenings. Alongside winner Rebecca Harper, the highly commended finalists were multi-disciplinary artist Anne Griffiths of Oxford Brookes, sculptor Jamie Fitzpatrick of the Royal College of Art, portraitist Sara Lavelle of the University of Brighton and painter Stella Kapezanou of Athens School of Fine Arts and Chelsea College of Arts. Jamie Fitzpatrick graduated from the Duncan of Jordanstone College of Art, Dundee and the Royal College of Art. He was recognised as a finalist due to his large scale figurative sculptures which utilise sound and distorted materials to explore symbolic authority and power. Stella Kapezanou graduated from the Athens School of Fine Arts and Chelsea College of Arts. 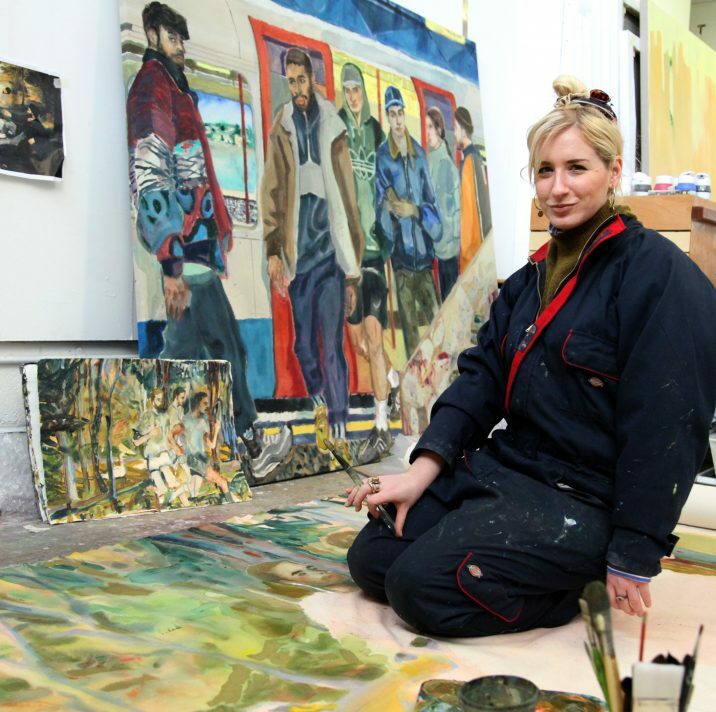 Her highly stylised paintings which juxtapose the everyday life of people against ironic commentary of materialistic societies impressed the judges. Anne Griffiths graduated from Oxford Brookes. The judges responded to her multi-disciplinary work revolving around cultural and historical boundaries. Her piece ‘The Taxonomy of the Cornflake’ was exhibited and sold at the Royal Academy 250th Summer Exhibition in 2018. Sara Lavelle graduated from Falmouth University and the University of Brighton. She impressed the judges with the maturity of her portraiture which investigates how identity is presented in the modern age, drawing on psychological, spiritual and philosophical sources.